Pretty! 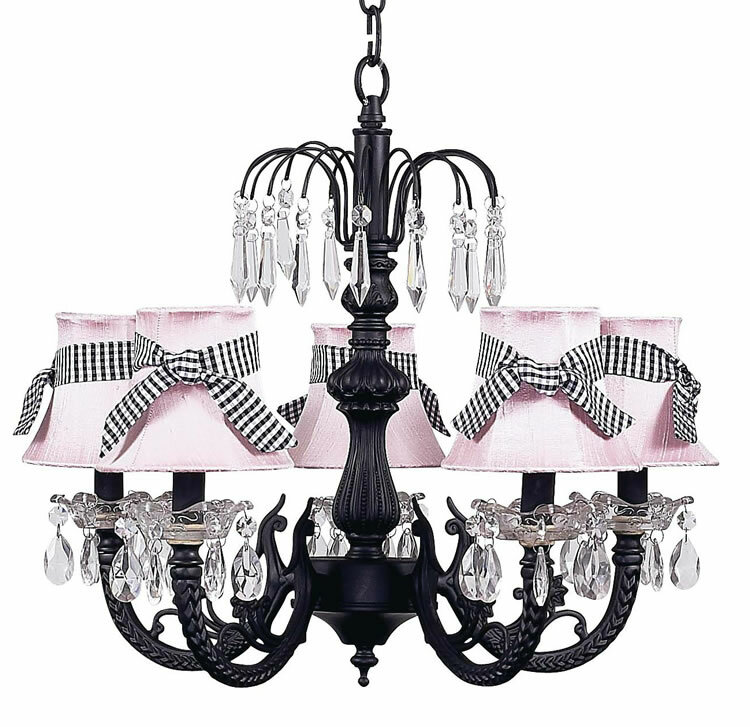 This black chandelier has a detailed center that gathers in a waterfall of u-drop crystals. Tear-drop crystals circle each arm of this beautiful black chandelier. Available as shown or without the pink shades. You may select from all children's chandelier shades.